This is one of the weirdest movies I have ever seen. Not in a 'this plot is hard to understand' or 'what the hell is going on' kinda way. More in a 'how many retards can you put into one sane movie?' kinda way! Most of the people in this movie look like they're not totally well upstairs and the plot is so uninspired that it's unbelievable. Despite all the stuff I just mentioned, I actually liked the movie. It's hard to explain, but the movie really succeeds in creating this little universe in which these teenagers fool around in and even though it's stupid. Some of the best bits in the movie are the discussions (yea right!) between the main protagonist (Napoleon) and his best friend (Pedro). It's quite enjoyable, but won't be what you expect...no matter what you expect! Edit: After watching it again I upgraded it from 6 to 7. It's almost an 8, but not quite. Really gets better! Highly awarded teenager movie - I just don't get it why! Poor plot where nothing happens and all the way through the story is very predictable. I know these kind movies are supposed to be easy going stuff, but this was just too poor for my taste. It is possible that I just didn't get the journey that Napoleon undertakes, but it just doesn't go anywhere. The acting was quite good, almost too god. 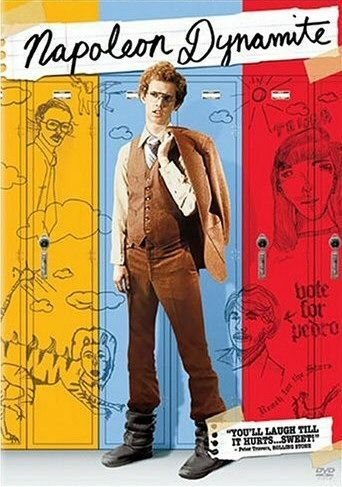 Napoleon is a nerdy teenager and Jon Heder really does a good job playing him with the jerky movements, the sighs and rolling of the eyes. In my opinion it is almost too good. You quite early loose all sympathy for the kid and from then on the movie is just a pain to get through.